Capcom’s Dragon’s Dogma: Dark Arisen, the re-release of the 2012 action RPG with a heavy focus on boss encounters, has a new trailer displaying its world’s terrifying enemies. They may not bring about the same terror induced when playing either Demon’s Souls or Dark Souls, but hey, these things are still trying to kill you. Revealed at the 2012 Tokyo Game Show, Dark Arisen isn’t just an additional chunk of content for previous Dragon’s Dogma players to enjoy. This is a full, retail release that contains both the orignal experience and a slew of new features meant to enhance this well-regarded adventure. Fresh quests, locations, character customization options and equipment will be included, as well as the previously mentioned new enemies that can be seen below. Although some of the changes made through Dark Arisen were a no-brainer, the developers determined a great deal of the new content through player feedback. Things like easier travel and a more intuitive menu system were asked for after the game spent some time on the market, and thankfully, it’ll all be there this second time around. The wait is almost over for players yearning for even more high-flying action from this dark, sinister world. 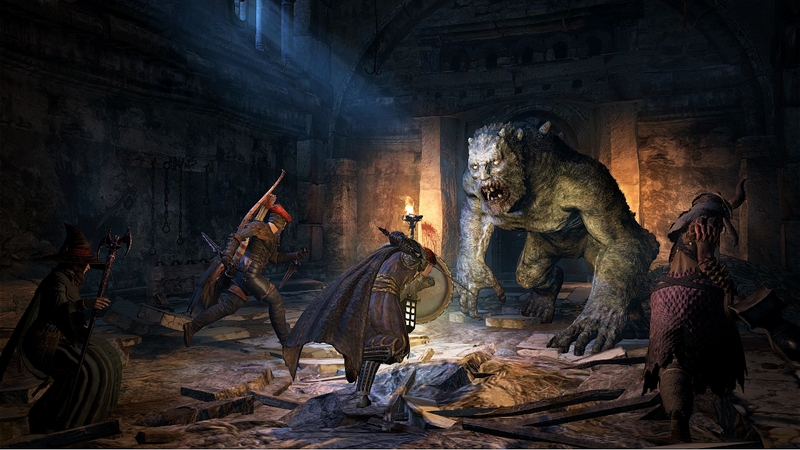 Dragon’s Dogma: Dark Arisen will launch both at retail and digitally on the PlayStation 3 April 23 for $39.99. The Xbox 360 disc will be available the same day, but the downloadable version won’t see life on the Xbox Live Marketplace until sometime this summer. Are you a fan of this series? Will you be testing this extra content later in the month? Let us know what you think by leaving a comment below!